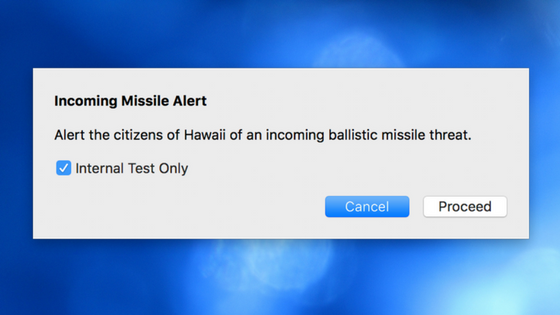 As most of you know, this past Saturday morning, the people of Hawaii got a shocking notification on their smartphones warning of a incoming ballistic missile and that this warning was not a drill. I can only imagine the fear that raced through the minds of more than a million people. This warning, as well all now know, turned out to be a false alarm accidentally set off by a state employee who was attempting to perform an internal test.